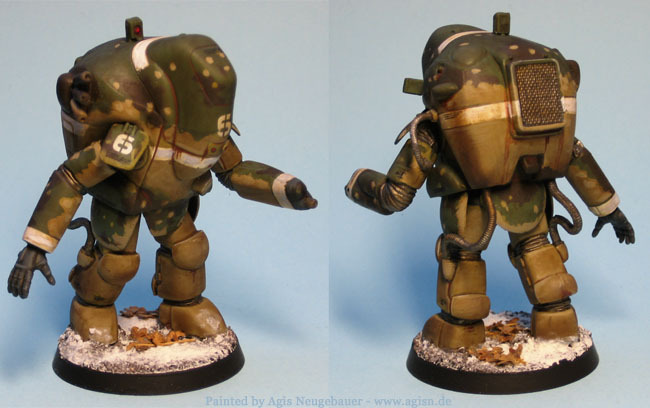 Maschinen Krieger ZbV 3000 (originally known as SF3D and now also known by the abbreviation Ma. K.) is a science fiction universe created by Japanese artist & sculptor Kow Yokoyama in the 1980s as a feature article in Hobby Japan magazine. The story is set eight hundred and eighty years in the future, as two opposing human forces are fighting for control of the habitable areas of Earth. 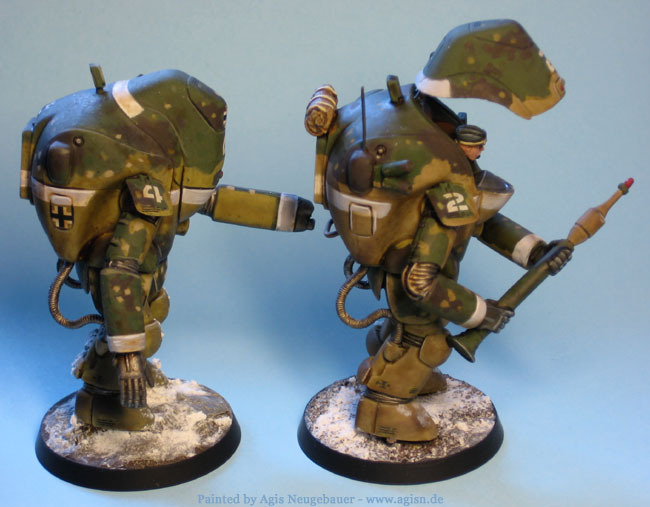 Combat armour suits are prominently featured throughout the story. 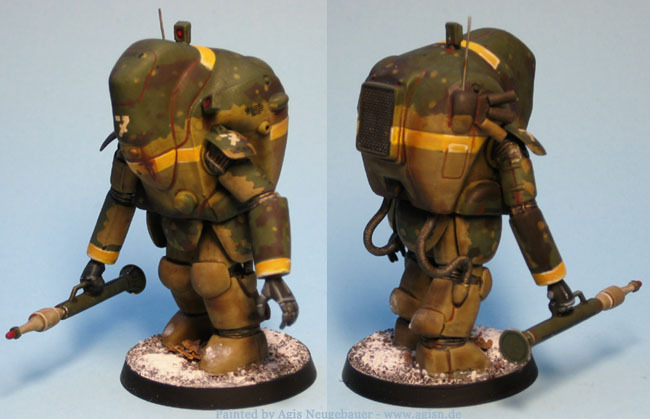 The models are 1/35 scale “Melusine” Panzer Kampf Anzug Ausf M from the Yellow Submarine 1/35 range. 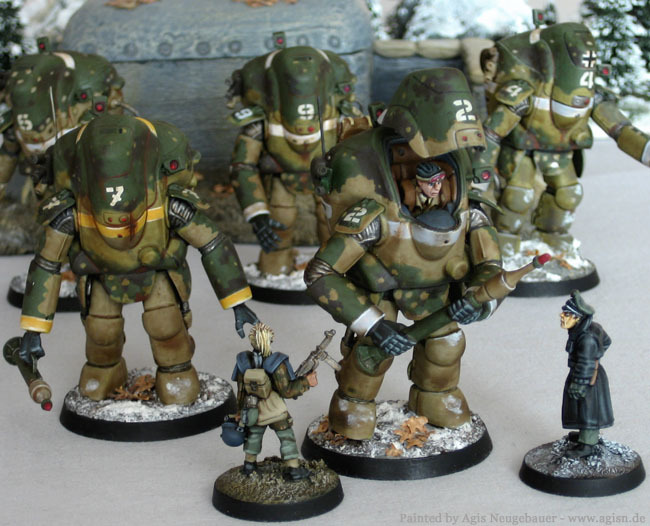 These are complete pre painted kits. 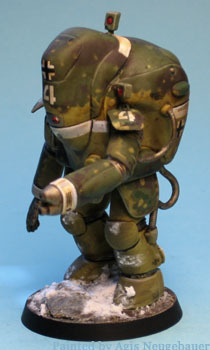 The head of the Melusine with the opened cockpit is from West Wind Secrets of the 3rd Reich range. I also detailed all kits a bit with the grenade launcher, the camo netting roll on the back, the antenna and the crash bar on the back. 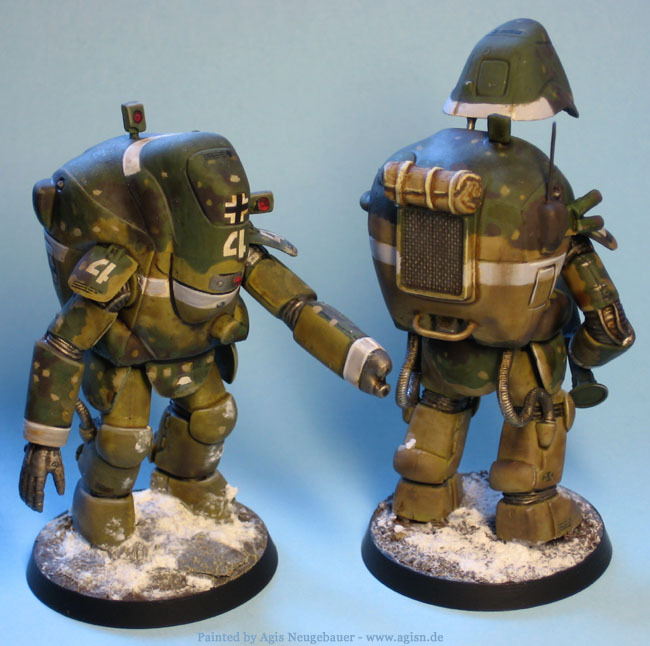 The kits are from Coolkits, a German Online shop which is specialised in Mecha miniatures and especially MaKs. Highly recommended shop with a very good service! 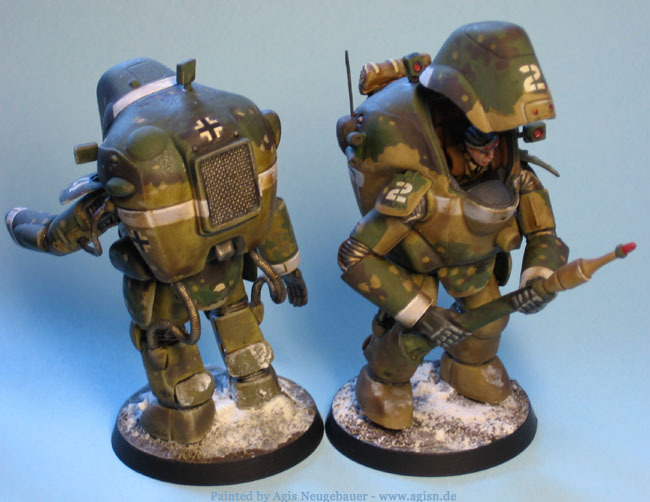 IMO the Maschinen Krieger 1/35 kits are good fitting to 28 mm miniatures (see the picture above with two Artizan 28mm minis). 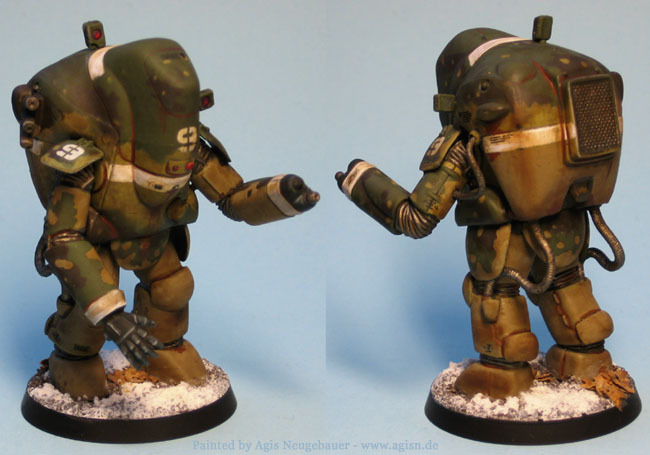 The design is reasonable bulky and retro tech looking and it is big enough to justify a pilot sitting in the highly armoured torso. Plus - the inside weapon mounting, the weapon can be everything you like in your Pulp style WW2 games!